Your car can be running fine and a check engine light may still pop up. That being said, it is important to take the time to find out what is making your check engine light come on and to remedy the issue. There can be a huge range of issues that make your check engine light come on and taking care of it is essential. What is a Check Engine Light Diagnostic Service? A check engine light service is a simple diagnostic test that tells you why your check engine light is lit. This test involves hooking your car up to a machine that tells the technician what code is associated with the check engine light. There is a huge range of codes or issues that could make your check engine light come on from something simple like needing Air Filter Replacement to something major like engine or Transmission Service. Why Should I have a Check Engine Light Diagnostic Service? Your check engine light does not come on for no reason. Your check engine light is hooked to the sensors and computers that are housed inside your engine. 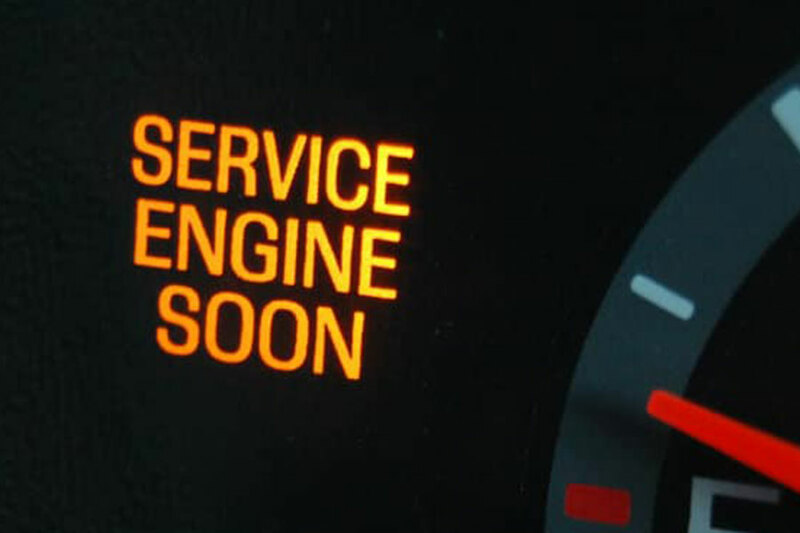 As such, when a check engine light is activated it means that one of the computer chips or sensors in your engine has detected a problem. If you have a check engine light on, it may be a major issue that needs to be remedied less it causes damage to your engine that may end in your car no longer running. What happens if you Delay a Check Engine Light Diagnostic Service? There are a huge host of issues that can occur when you ignore a check engine light. If you have a check engine light that is lit, you need to take your car to the mechanic immediately to see just what is making the light. It is important to take the time to see a technician to make sure that it is not a huge issue that needs to be taken care of immediately. Ignoring a check engine light can lead to serious consequences like an engine that is in need of serious repair. Why Should I have my Check Engine Light Diagnostic Service Done at Lang Nissan of Mission Bay? If you are in the San Diego area, the team at Lang Nissan of Mission Bay is a great option when it comes to any Nissan service. With a comfortable customer lounge, vending machines, certified Nissan technicians, rental cars as needed, and genuine OEM Nissan Parts, you can be sure you are getting top-notch service.